How does a national park celebrate its centennial? The year 2017 is a big one for Denali National Park. Though the land has been around for far longer than a mere century, this year it will celebrate its 100th birthday as a national park. This is a pretty big deal, and there are tons of ways to join in on the fun! Here are a few of the events and observances that we’re most excited to take part in this year. 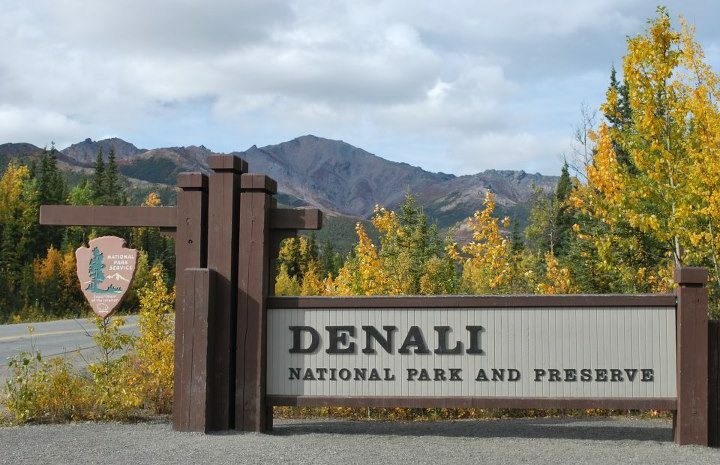 During the weekends of April 15 and 22 (also National Park Week, so there’s no excuse to not celebrate) park rangers are taking visitors on guided bike rides on the Denali Park road that are a great time for the entire family. On June 10, the summer birthday festivities will officially kick off with live music, activities for kids, lots of food, birthday cake and more. Do you have fond memories of a summer spent working at the park? If so, you can’t miss the Denali 100 Year Reunion happening this Labor Day Weekend. Activities include a meet-and-greet event, a bus trip into the park, guided hikes and a reunion dinner. This event celebrates not only Denali National Park’s 100th birthday, but also the 20th anniversary of the Walter Harper Talkeetna Ranger Station, the starting point for Denali at Mount Foraker expeditions named for the first person to ever summit the mountain. Finally, don’t forget to document all of your 100th birthday experiences with official hashtags #NPS100 and #DenaliNPS.